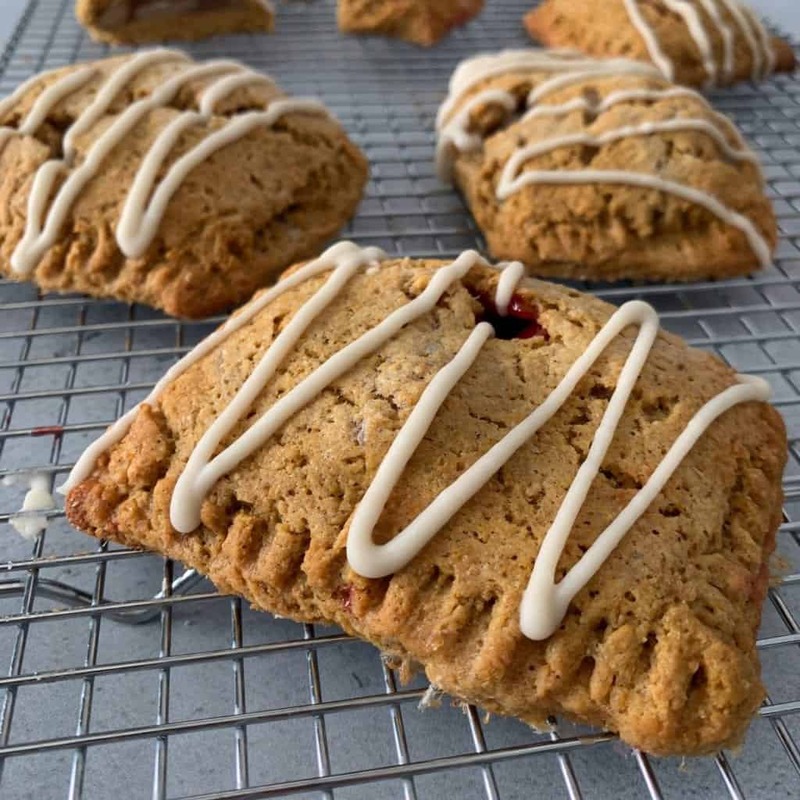 After making the 3-ingredient dough for my apple crisp pie, I couldn’t resist turning it into a single serving recipe like these healthy hand pies. I think we can all agree that pie is amazing. But individual pies that can be easily transported or double fisted might be even more amazing. 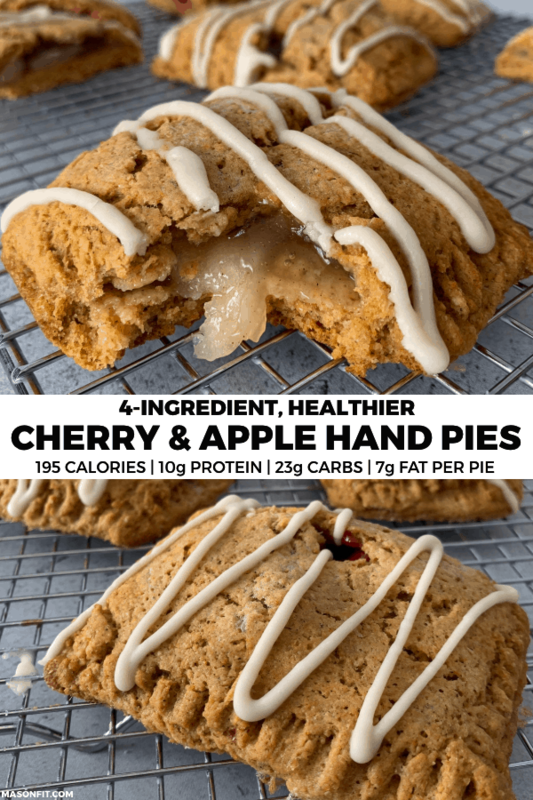 And hand pies that have 10 grams of protein and only 195 calories each are amazing-est. The base hand pies recipe calls for apple or cherry pie filling, but you could fill these with just about anything. 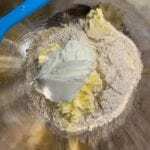 I’ll run through how to make the dough below and follow that with hand pie filling ideas. 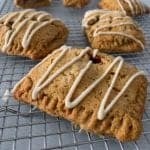 If you’ve made the dough for the apple crisp pie or any of my protein Pop Tarts, this hand pie dough will be very similar. It calls for Kodiak Cakes pancake mix, Greek yogurt, and light butter. I’ve had readers make the pie and Pop Tarts with other healthy pancake mixes like Birch Benders or Flapjacked. I’d venture to say you could make the dough with mostly any pancake mix. Just keep an eye on serving sizes and aim for a gram for gram substitution. 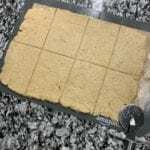 The process of making the dough is as easy as mixing the three ingredients together and then rolling the dough out and cutting it into eight pieces. After you’ve made the dough, simply add the filling, fold up the hand pies, and bake them. Voila—eight healthy hand pies. If you’ve tried my glazed cake rolls or banana bread cake, you’ve seen Swerve Confectioners in action. 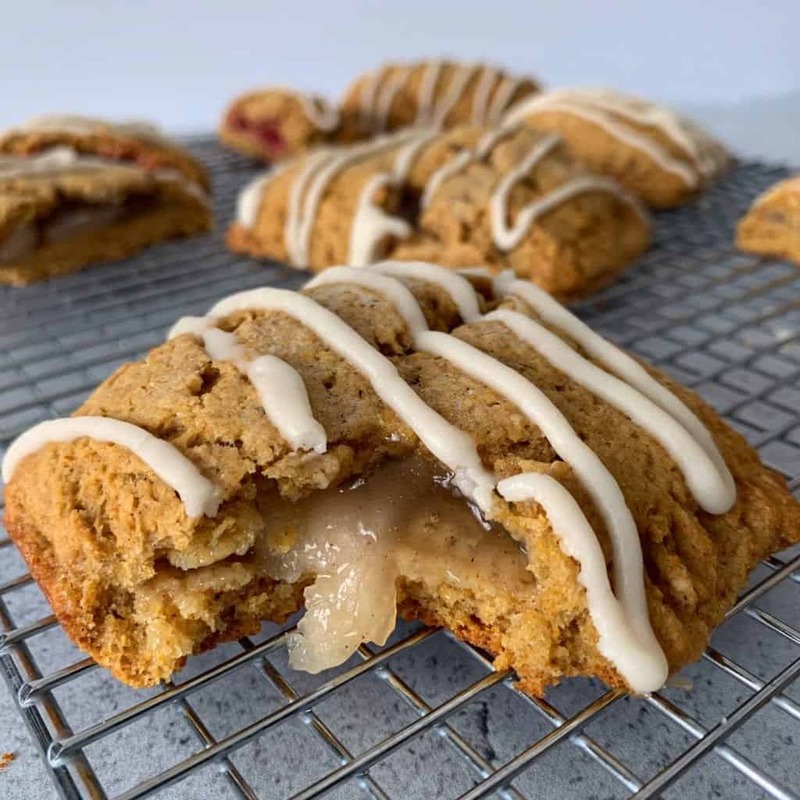 Swerve makes a line of calorie free sugar substitutes that taste amazing and work great for specialities like icings and frostings or other uses like replacing brown sugar. 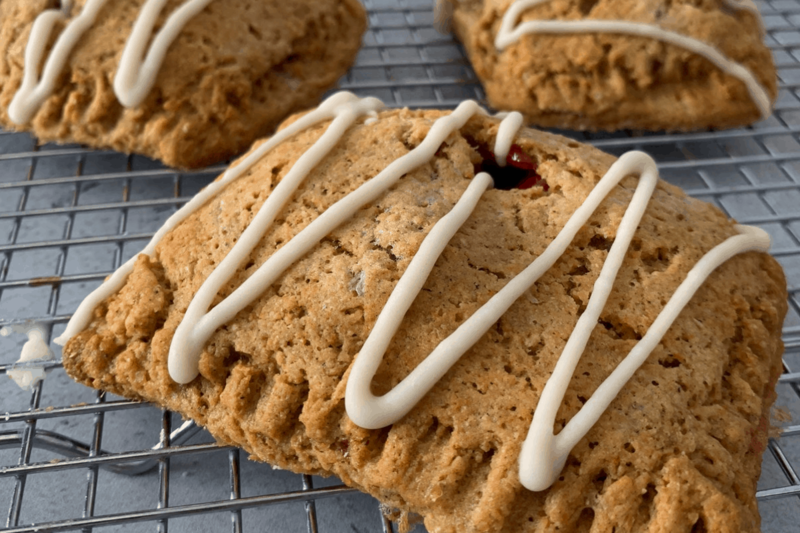 Don’t have Swerve on hand and want to make the drizzle for the hand pies now? 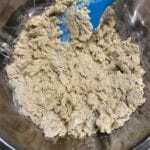 You could use real powdered sugar, a bit of protein powder and a granular sweetener like stevia, or a bit of sweetener mixed with cornstarch or another thickener. 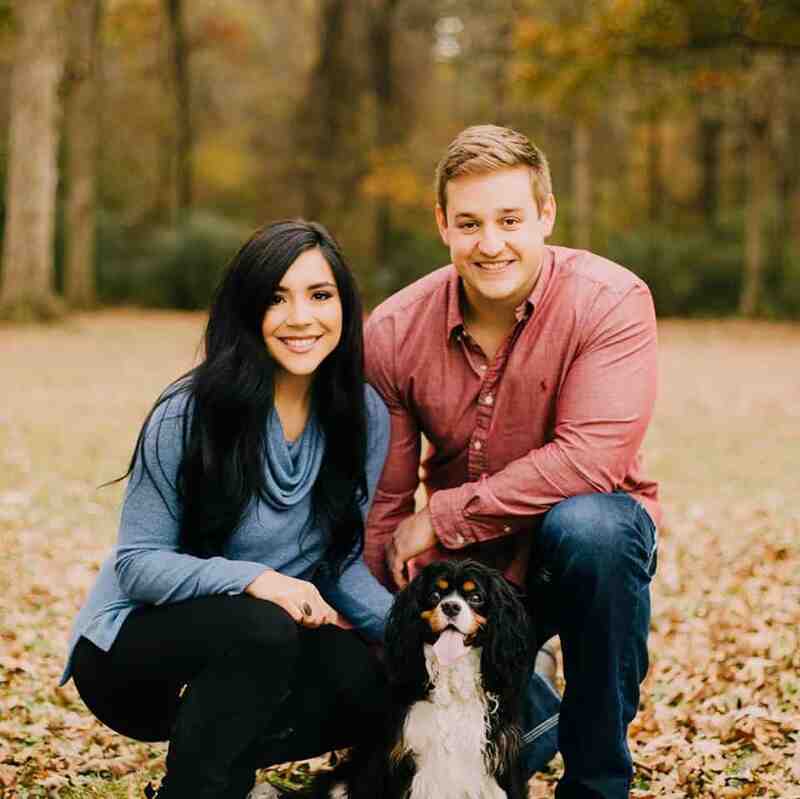 I’d love to see other versions and what you come up with. 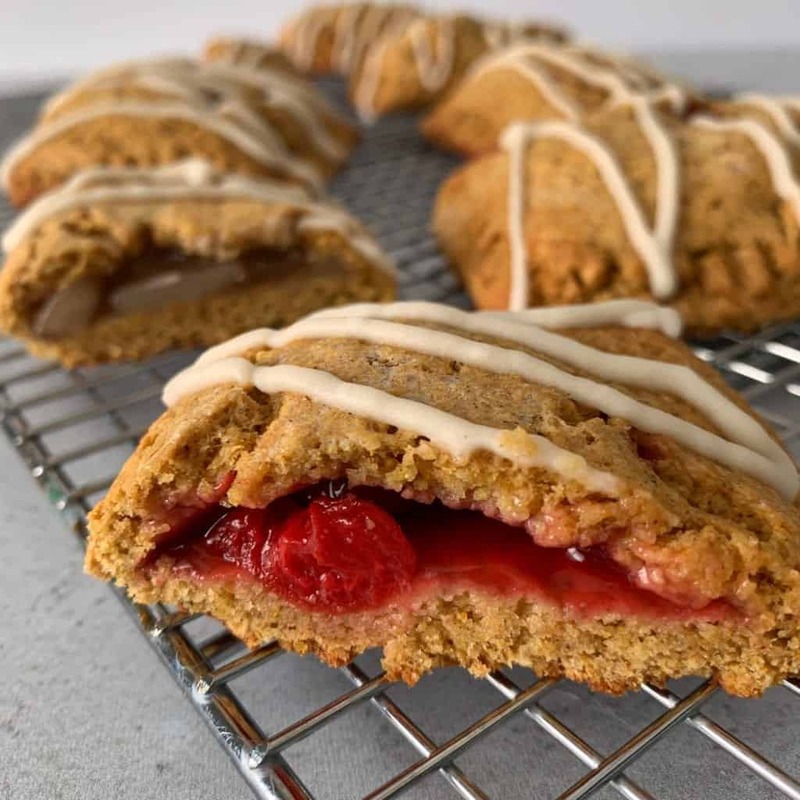 If you put your own spin on this healthy hand pies recipe, snap a pic and tag me on Instagram @mason_woodruff or join the aforementioned Facebook group and share it with everyone. An easy, 3-ingredient pie crust filled with sugar free pie filling. Preheat an oven to 350F and spray a baking sheet with nonstick cooking spray or line it with parchment paper. Add the ingredients to a large bowl. Use a rubber spatula to mix the ingredients together. It will appear as if you need more butter or yogurt but continue working the dough, it will come together. 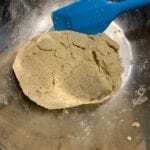 Continue pressing the dough down and folding the remaining dry ingredients in until you can form a ball of dough. 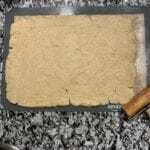 Transfer the dough to the sprayed baking sheet or parchment paper (I used a silicone baking mat). Press the dough down and use a rolling pin to create a thin rectangle with the dough. My mat is about 12x16 inches for size reference. Add 2 tablespoons (32g) of pie filling to each section. Place the filling slightly off centered so you're able to fold the dough over without squeezing the filling out the front. Fold each piece over and press the edges together. You can use a fork to crimp the edges to ensure nothing leaks. Optional: Melt an additional tablespoon of butter and lightly brush the top of each pie. Bake for 18-20 minutes or until the bottoms are slightly brown and the tops are fully cooked. After the hand pies have cooled, mix the Swerve and water before drizzling over the pies. Macros do not include the drizzle, though Swerve is calorie free. 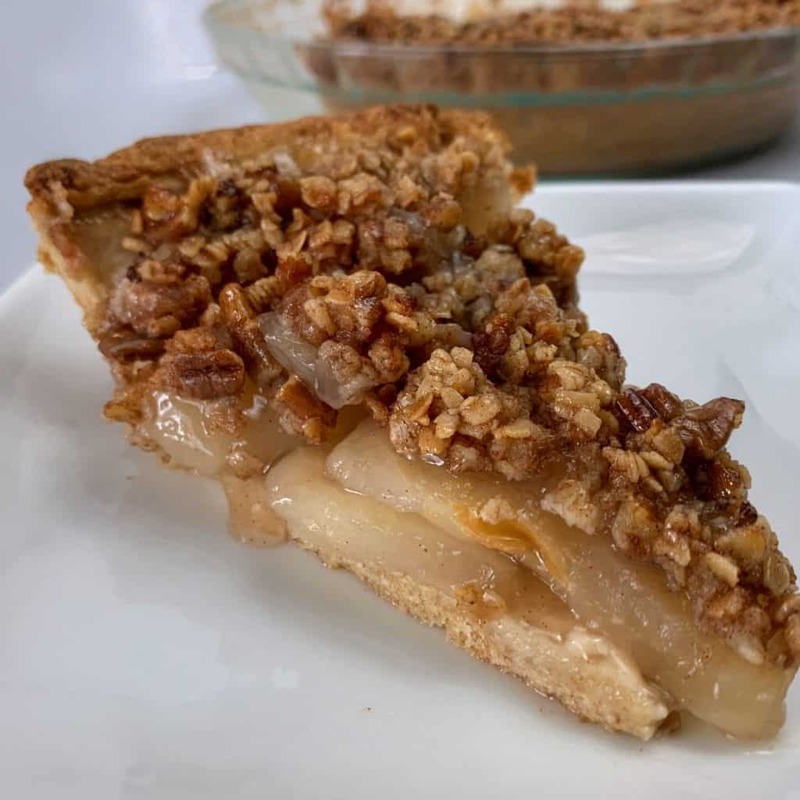 If you’re buying sugar free apple pie filling, you might as well make the original apple crisp pie I mentioned. 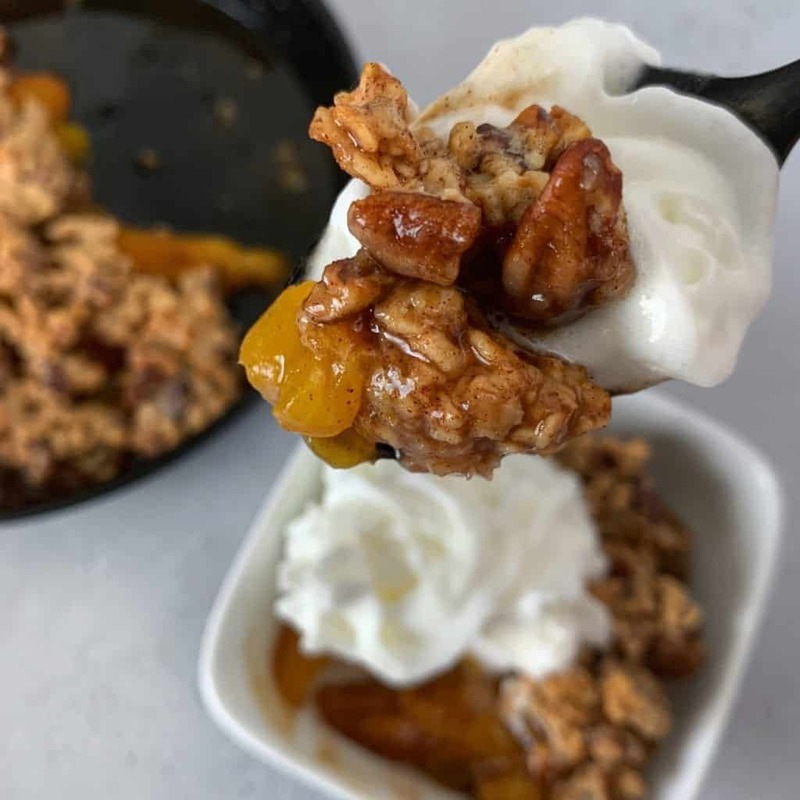 And if you have an air fryer, check out my easy peach crisp recipe. Hi Mason! Do you think these can be made as a “breakfast handpiie” using scrambles egg, cheese, veggies etc? I would make the stuffing let it cool and the assemble and cook. looking for something else for Hubs to have in the morning. Thanks so much! Do you think I can make these and use scrambled eggs and veggies as the stuffing? I’d make up the eggs etc and stuff the “pies” then bake them. Looking for a fun new breakfast for hubby. Thanks for all the great recipes! Every one I’ve made are hits!!! For sure! That’s kind of what I used in my Everything Bagel Pop Tarts, egg whites and cream cheese. I’d say use a similar amount in grams so you don’t overfill them. These were a delicious treat! Very rich, filling and yummy dessert! They hit the spot. My guests had no idea they were “healthy.” I think next time i would try to make them a bit smaller as i would have also enjoyed them as bite size desserts.